Nurse call systems have been one of the most significant improvements to the healthcare industry. 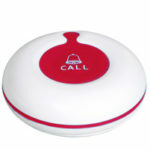 Widely called a nurse call button, it is used in hospitals, day clinics, nursing homes and retirement villages. What is a nurse call button? A nurse call button is basically a remote that is found on patient’s beds in medical environments. A patient uses it to call for help when it is needed. It works on transmitter and receiver technology. The transmitter, which in this case is the nurse call button used by patients, will send information to a specific destination, which in this case is the receiver. 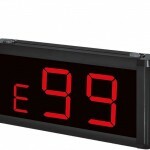 A receiver device will be either a main monitor setup at nurse’s stations or wrist watches that they can carry around. Once a patient presses their button, all of their location information is sent to the receiver to request for help. This information will be room and bed numbers so the nurses know exactly where to go to. Nurse call devices come in corded and cordless systems. The wireless systems offer a wider range of advantages in that they are easier to install and maintain. There are no hassles with cords and are not a distraction when renovations are in order. The wireless nurse call bell can be used in retirement nursing homes also where the display screens can be assigned their own nurse call bell. Since many won’t be confined to beds they will be able to carry the nurse call systems around and since a lot of mobility problems occur when we age, they will need the security of knowing help is always on hand. Nurse call buttons are a way for patients to ask for immediate help. Since this request is sent directly to nurses, help can be sent right away. 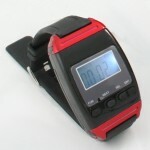 If a that nurse near to the room gets the message on their wrist watch, it will mean getting to the room even faster. Patients will no longer have to physically gesture or scream for help to get the nurses attention and risk further injury to themselves. Nurse call buttons are placed directly near the hands on beds for ease of use. Nurses can make use of the nurse call bells as well, to call for backup help when they are attending to a patient and need an extra pair of hands. Nurses no longer have to flurry around all the time ensuring patients are okay. They can make their rounds as required by management and go to a patient only when called for. This leads to a much calmer setting and more productive, and less stressed nurses.